After two decades of variable material, this was the long-awaited "return to form", to use that horrible, over-used phrase. I guess here it was true. One listen to the opener "The Emperor's New Clothes" and one is certainly convinced of that - a moving vocal, an autobiographical, nostalgic lyric (always a strength from Bernie Taupin), no layers of synthesiser, a crystal clear, well-utilised piano and generally a great sound to it altogether. 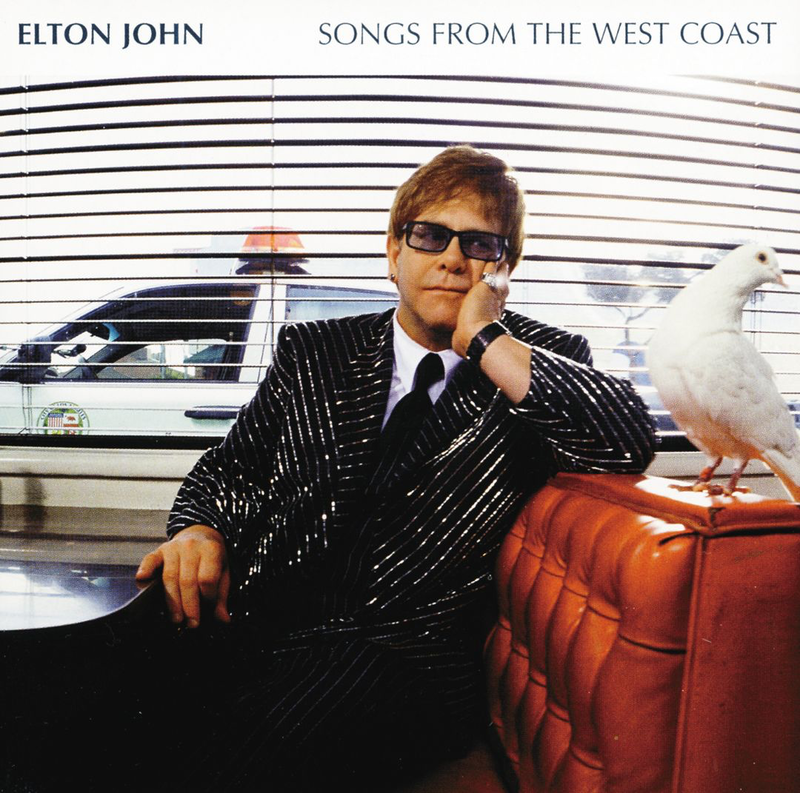 It is a great start to the album, and one of Elton's best tracks for over twenty years. This album signalled the beginning of a run of excellent ones that put the previous twenty years' output to shame. To be honest, you could survive on Elton's pre-1978 and post 2001 material and not miss the in betweens at all. "Dark Diamond" is a rhythmic, mid paced rock-ish ballad with hints of the "Captain Fantastic" album to it and an excellent "proper" drum sound, thank goodness. It also features Stevie Wonder's instantly recognisable harmonica too. You hear stuff like this and think just how the heck did he tolerate some of the material he released in the eighties and nineties. "Look Ma, No Hands" starts with a Billy Joel-esque piano intro and a has a trademark, strong Elton vocal and those Americana lyrics. "American Triangle" continues in the same vein, with another excellent vocal from an Elton who seems to have got his clear diction back. "Original Sin" is another quality ballad. These songs sound so much better without those awful eighties and nineties backings, it has to be said. Maybe some of those earlier albums would have sounded so much better if they had been produced like this. "Birds" is a country-ish lively number that harks back to the "Tumbleweed Connection" days, although I refute the popularly expressed opinion that this album is similar to that one. Nearly thirty years, for a start. It is difficult to explain how, but they are just different. "I Want Love" is a stark but catchy ballad, with an addictive bass line and is well known by most as it was a hit single . "The Wasteland" evokes some Elvis Presley in its opening riff, and utilises a classic blues progression in its basic backing and namecheck Robert Johnson and Muddy Waters. It is good to hear Elton singing the blues again. "Ballad Of The Boy In The Red Shoes" has echos of "Danny Bailey" from "Goodbye Yellow Brick Road" . There are lot of links to the past on this album, but they are just that, links, not attempts to copy. "Love Her Like Me" is a lively number, with a Springsteen-esque guitar riff. "Mansfield" is another of those nostalgic, autobiographical songs looking back at Elton and Bernie's crazy, wild times, of which they have done many, but they are always evocative. "Indian Summer" from the "Madman Across The Water" album is quoted in the lyrics. 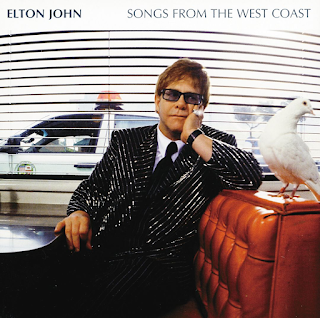 "This Train Don't Stop There Anymore" is a beautiful, typical Elton slow and emotional song to close what has been a most enjoyable album, not only lyrically, musically but also production-wise. There is a clarity of sound that had been lacking for a while and a more basic rock approach. Nice album.